I wore my cleats for the first time in 8 years and they still fit! Hopefully all will be explained so that I can remember just how yesterday really played out in my mind. 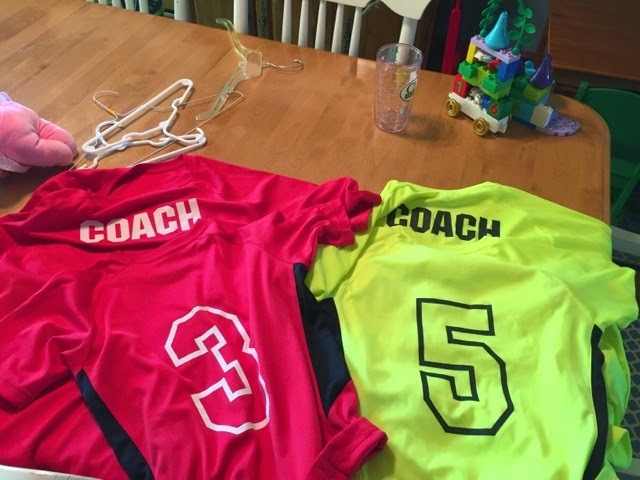 Awhile back I had this really good idea that I should coach both E and R's soccer teams - I kind of went into signing them up thinking it would happen because there are never enough coaches. NEVER. Well having coached 3 yr olds as well as the 4/5 age group I figured it wouldn't be a problem and honestly it hasn't been. Being the coach I was able to schedule one practice after the other which is PERFECTO so we don't have 2 afternoons monopolized by a trip out to the soccer field. Plus I actually happen to like coaching. Sure the kids are crazy and aren't the best of listeners and all that stuff, but my kids are right there with them. 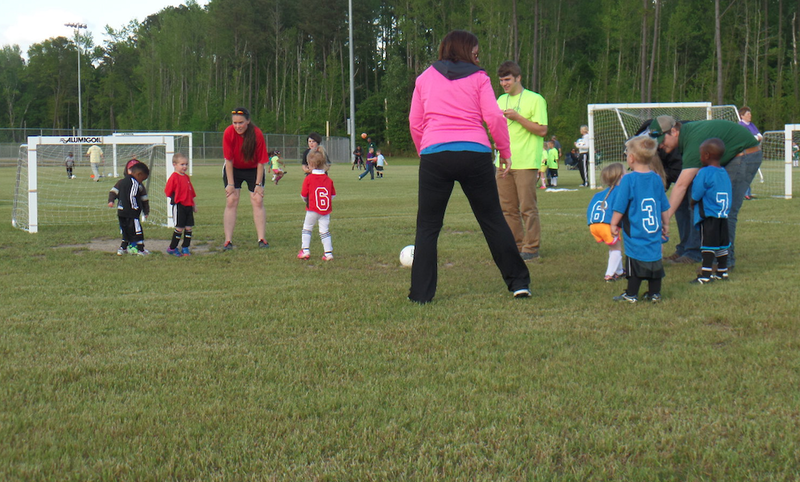 Here's the thing, if a pregnant mama can corral a handful of kids on the soccer field... then you probably could. Fortunately for all the parents and players and spectators I am NOT 40 weeks pregnant and coaching... because well, I've done that too and that flashback link could have been M and Papa and R could have been in E's shoes) and even I think that is crazy! Two teams. Two uniforms. And I didn't even forget them - please, be impressed. In fact I don't think I forgot anything. M's snackS, her cup, the big girls waters, Papa's chair - which did ALMOST get left, but pregnancy brain hasn't quite set in all the way. Now, the Leopards - the 4/5 team pictures went off without a hitch. We got to the field one minute before our scheduled time and I promised myself on the way NEXT TIME we won't be late. Good thing most of the promises I break are with myself. Uniforms on. Hair brushed. Cleats tied. Oh wait I forgot how to tie my cleats? I suppose after 8 years of not wearing them it might make sense I forgot the laces are so long that you must wrap them under the cleats. 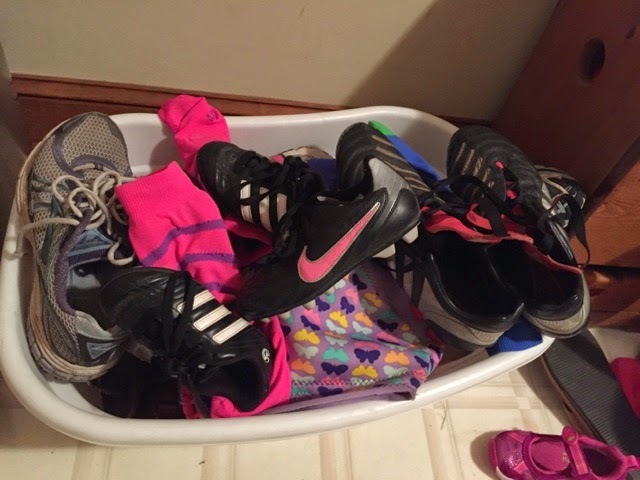 The cleats idea/need came about last week during the 4/5 practice when the Leopards (all the kids on the team) were scrimmaging Me (the slug - thanks Grandpa Joe for that one; I think the name is on it's second season). Basically, the field was wet and I ALMOST had one of the most EPIC wipes of your life. Pregnant mama + EPIC wipe out = woulda been awful. But then it wasn't because I caught myself. But from then on I knew the cleats had to come out of the closet. I've purposefully never worn them because I am legit afraid of stepping on a toes. When you step on little toes in big cleats I imagine it would hurt... ALOT and you know that would be super dramatic and I would feel REALLY REALLY bad so I guess I'm just going to have to be extra careful to NOT step on little toes. Anyhow, the Fire Ants - the 3 yr old team - had pictures SMACK dap in the middle of the 4/5 practice. Again not a huge issue. R and I rush over at the appointed time to find all the Fire Ants and Fire Ants Parents waiting and then come to find out the wind knocked the camera over and the photographer only has one lens? Come on, no back up? Yeah, no back up. So no pictures for the Fire Ants and now begins their 30 min wait until practice - which is key - so don't forget it. R and I hustle back to practice. Papa has since arrived found M parked in the stroller and all is well in her world because there are GoldFish. Onwards and upwards to the Fire Ants who have been at the fields for AT LEAST 30 minutes already. 3 yr olds, mind you. 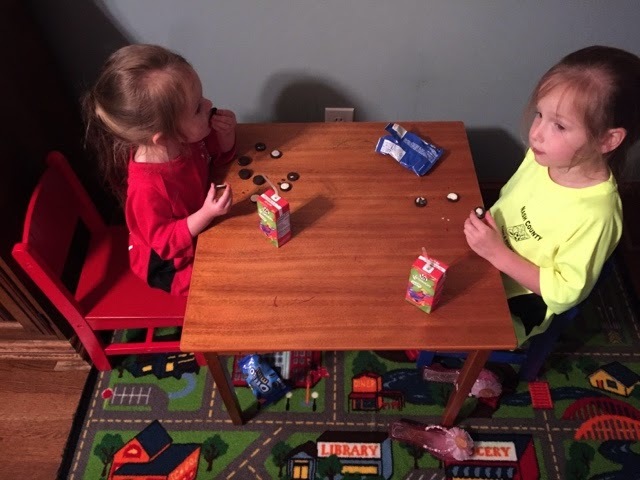 Have you ever known 3 yr olds to do anything for more than 30 minutes? Yeah me neither - or at least my kids haven't. So we do our normal circle thing. Forgot to run around and stretch - pregnancy brain. Kicked the ball into the goal several times each. Semi-scrimmaged before the game. I'm convinced the most you can expect from 3 yr olds is that they kick the ball to the correct goal. Taking the ball from the other team? - all we tell them at home is to SHARE, SHARE, SHARE so that goes against everything they are being taught. So the game begins about one hour after our scheduled picture time - oh and the other team had pictures before us so they're in the same boat. It was pretty standard operating procedure in the controlled-choas department. Pointing people in the right direction. Trying to convince them to run after the other team. Convincing them not to touch the ball with their hands. Saving several rock collections that my resident geologists found. Pleading for kids to keep their arms down and not push. Begging for a third or fourth player to come on the field. Herding the injured to the sidelines. Asking if we are here to play soccer or here to pick grass. You know, the regular stuff except this week it seemed magnified. Which magnified the comedy in my mind because seriously these kids are 3 and they are doing exactly what 3 yr olds do best - whatever the heck they want. R had a particularly rough time. One right when it was her turn to come in she some how 'hurt herself'. Yeah I have no idea. Then she was convinced that just kicking the ball would earn her a special trip to get ice cream - I tried to explain (as the game is going on) that she in fact needed to kick the ball all the way in the GOAL. She was quite tearful over this because the girl really wants to get ice cream. PLUS toward the end the other team scored and one player threw the ball out of the net and WHAMMO... right into R's head. Goodness she was upset. I don't think it was long after that the other mom coach and I told the ref we were done and did not care how much time was left on the clock - because that's how we soccer moms roll you know. Next week bring another game and $10 bucks were are going to play the OTHER red team that has the EXACT same color uniform as us except they have 2 white stripes and we have black on our uniforms.